Ms Hamel's abstract paintings are on view in the gallery during the month of July 2013. Shown here is "Water Totem" oil on canvas, 40" x 40"
Ms. Hamel lives in San Francisco and Meadow Valley California. 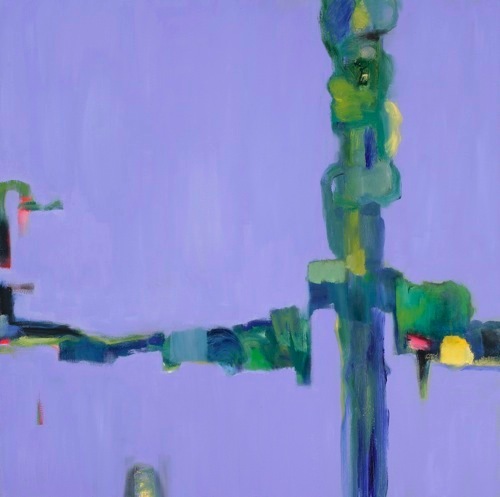 Her main studio is at the Hunters Point Shipyard Art Community in San Francisco where she works on her large abstract oil paintings and does monotype printmaking. Visit her website for more images: www.marcellenhamel.net.